Banco CTT, one of Portugal’s newest banks, has selected Fiserv to enable anti-money laundering (AML) capabilities. The bank aims to enhance the customer experience, while managing money laundering risk. It was established in 2016 by the Portuguese Postal Service (CTT – Correios de Portugal), and has since expanded, with 212 branches and 390,000 customers. AML monitoring also allows the bank to minimise customer disruption due to investigation of legitimate transactions, says the bank. 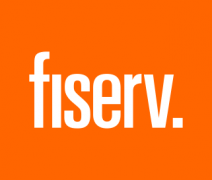 The AML Risk Manager solution from Fiserv uses visualisation tools and behavioural profiling to track risks and monitor for potentially suspect activities. It also provides customer risk profiling, transaction monitoring, and know your customer (KYC) capabilities. AML Risk Manager is built on a shared platform, adding additional solutions for payment and cheque fraud. In other news, Fiserv recently paid a big sum to acquire tech firm First Data. Finastra is a failed company and failed banco CTT as well. Right choice from banco CTT to go with fiserv. Way to go!